Residents of Germany get to feel this every day. It can take months and several visits to a local government office to obtain an ID card (Estonians do this online), while the occasions one is required to present this document seem to mushroom.No wonder politicians, Germany’s political parties and government officials are at the bottom of the scale when it comes to whom the citizens trust. The country is caught in a “they” versus “us” scenario. While exercising control takes top priority, the ordinary business of government, to make things work, is shamefully neglected. When you are invited to a reception at the German Foreign Office in Berlin, you expect to be let in at the gleaming, large glass-walled main entrance. But as delegates of the “Global Solutions” World Policy Forum learned the hard way, you will be asked to go down a dark side street to a side entrance. As if that weren’t ominous and uninviting enough, count on waiting for close to an hour in a line to be admitted to the reception. Not a very inviting protocol, even if it hadn’t been a cool and rainy spring evening. But, unwittingly, this provides the guests from around the world with an ample taste of the efficiency of the German government. This kind of “welcome” did not provide conference participants with a good feeling about Germany’s ability to contribute to solving the world’s pressing problems. “I always thought these kinds of things work in Germany,” was one of the milder comments to be overheard. As a matter of fact, the image presented to guests from across the world was one of appallingly poor organization, matched by pre-1990 East German style security mania and protocol. The experience fit right in with a country where trains no longer depart, run or arrive on time. What is most worrying about all this is that it was not just an unfortunate incident. It may well serve as a perfect example of how the German government machinery works these days. In a nutshell: It looks much better from the outside than it really is. 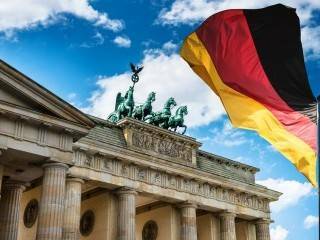 While efforts to protect top politicians and government buildings are being continually stepped up, citizens, be they Germans or non-Germans, are increasingly kept at bay. Mistrust reigns paramount. Everybody is considered a potential miscreant and is incessantly called upon to present proof of the contrary. Residents of Germany get to feel this every day. It can take months and several visits to a local government office to obtain an ID card (Estonians do this online), while the occasions one is required to present this document seem to mushroom. No wonder politicians, Germany’s political parties and government officials are at the bottom of the scale when it comes to whom the citizens trust. The country is caught in a “they” versus “us” scenario. While exercising control takes top priority, the ordinary business of government, to make things work, is shamefully neglected. It seems the country has entered a vicious circle of incompetence and unwillingness to do anything about it. Thankfully, internationally the country is still running on the fumes of its past performance. Historical evidence shows quite clearly that an overbearing control system is a clear indicator that a system is reaching the end of its lifespan. Take the Roman Empire as an example: In the third century, it employed five times as many civil servants as it did at the height of its power in the first century. It was at that stage that the Empire began to collapse. The situation is becoming more absurd by the day. We have already reached a point in which communities by choice have taken over as society’s main providers of new ideas and strategies, while the governments and parliaments we citizens mandate and pay for spend all their time (and the citizen-provided funds) in squabbles and infights no one else can understand. They seek to cover this failure by constructing ever larger mechanisms of control and supervision, instead of focusing on how to actually provide practical and effective solutions. This is done with an arrogance and an absence of respect for the principles in a democratic society that is breathtaking. What we see is a fairly small clique of self-styled “leaders” living in a world of their own and wrongly assuming they are in the driver’s seat. When they interact with the population at large, they all too often read out unimaginative speeches composed by their staff. Amazingly considering the fact that we live in a democratic society, these self-appointed mandarins basically never stop to listen and think. Little wonder that new, politically corrosive movements, that pretend to do what the people really want, attract followers. If Europe wants to be an open society and to remain ahead of the curve, relying on technical innovations, improved health care and educational facilities will not suffice. On the contrary, the more people are educated, the more they know what their place in society is and what a government should be doing. The effort to arrive at global solutions will have to take this into account.